James Maher has contributed the "Out and About in the East Village" feature at EVG these past five-plus years. He's involved in a new project down at the Manny Cantor Center. "Sharing the Miracle: Storytelling in our Immigrant City" is the culminating exhibit of portraits and corresponding stories collected by photographer James Maher that illustrate our community members’ immigrant journeys. Within this space, we are celebrating the immigrant journeys, struggles, and successes of 25 members of our Educational Alliance’s Manny Cantor Center community, including families, neighbors, staff, and volunteers. 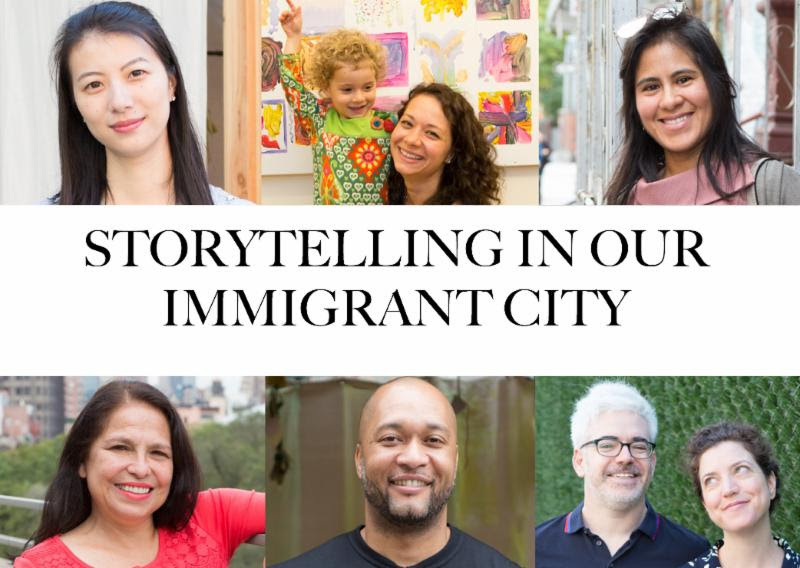 "Storytelling in our Immigrant City" is Manny Cantor Center’s newest program to celebrate the diversity of our city and our pride in the community of the Lower East Side. The exhibit officially opened today at the Center, 196 East Broadway at Jefferson Street. The opening reception is Thursday evening from 6-8. The exhibit will remain up through Feb. 9. The hours are 10 a.m. to 6 p.m. Monday through Saturday.